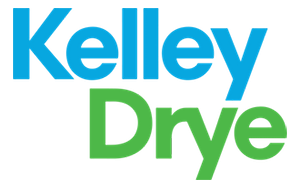 Andrea Calvaruso is chair of Kelley Drye’s Trademark and Copyright practice group. Her work has been recognized in the 2013 edition of Chamers USA and the 2011-2013 U.S. editions of The Legal 500, reporting that her clients praise her as "smart, reliable, trustworthy, knowledgeable and responsive." The Trademark practice group was also recognized with a Tier 1 - National ranking in the "Trademark Law" category for 2011-2013 in the "Best Law Firms" study published by U.S. News and Best Lawyers. Andrea litigates trademark, trade dress, unfair competition, and copyright cases; negotiates and drafts intellectual property-related agreements; and advises clients in matters such as evaluation of ownership interests and licensing issues. She represents clients in a wide range of industries, including consumer products, entertainment and fashion.